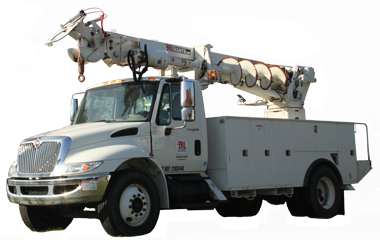 TRL Rents’ digger derrick inventory consists of units designed for electric utility work. Our fleet consists of 45’ – 50’ units designed for distribution work as well as 60’ – 70’ units designed for transmission work. Our units are mounted on 4x2, 4x4, 6x4 and 6x6 chassis. 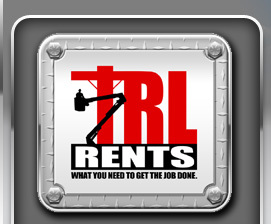 With TRL Rents as your rental partner, we will deliver...What you need to get the job done. These units are designed for electric utility distribution, telecommunications and lighting & sign maintenance. Our rental fleet includes insulated, full pressure hydraulic digger derricks that range from a 47’ to 50’ sheave height. All of our units have a command post with a rider seat. 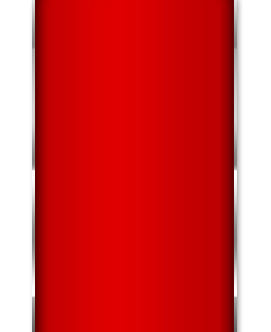 These units are designed for electric utility transmission, telecommunications and lighting & sign maintenance. 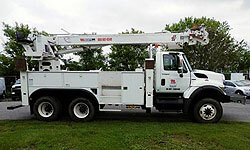 Our rental fleet includes insulated, full pressure hydraulic digger derricks that range from a 60’ to 80’ sheave height. All of our units have a command post with a rider seat.